Tabor can boast, except the other historical sights, the oldest reservoir in Central Europe in the very centre of the town. Tabor was founded by the Hussites (Hussite Movement) after 1420 and remnants of its extensive fortifications (Bechyne Gate, Tower Kotnov) show its military character at that time. The unique historical core which is an urban monument reservation includes the Gothic Town Hall, the underground of the town, remnants of the fortification, Gothic Church of the Metamorphosis of Our Lord on the Mount Tabor and several Renaissance houses of burghers. 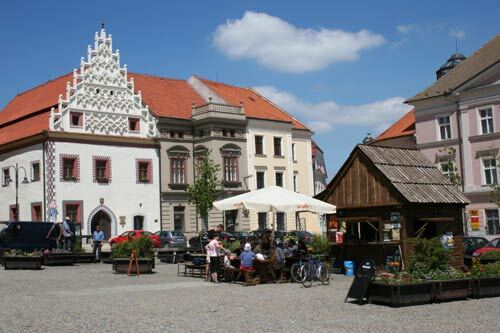 Tabor is suitable stop on your way to Ceske Budejovice or Cesky Krumlov or Salzburg. Visit our list of the hotels.